Everybody loves to gift chocolates on Christmas. And chocolate manufacturers ought to design Christmas themed chocolate packaging boxes. 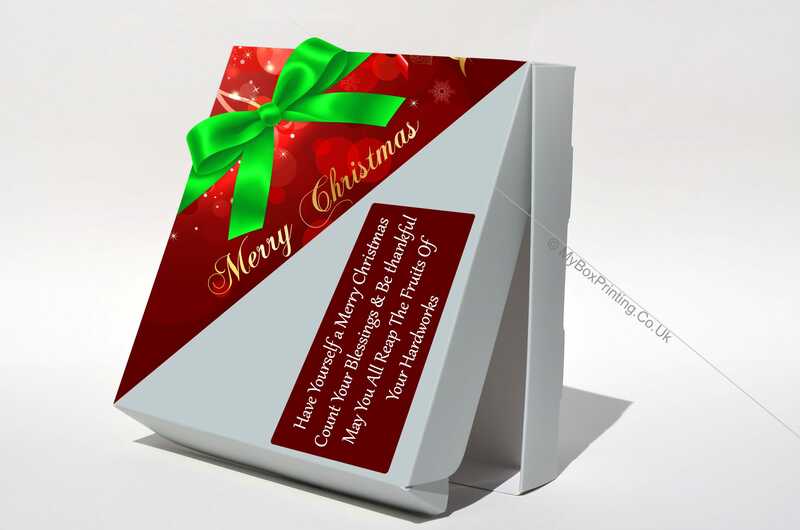 This year to celebrate Christmas, we are giving a tremendous discount of 10% to customised chocolate packaging boxes. Do you want to avail this offer? If you desire to get benefit from this magnificent offer, fill out our request a quote form and we will be in touch with you shortly. To get an instant quote, we urge you to give us a call on (020) 7998 8763.